The most fragant dried Peruvian torch 100% outmost skin so no white core. All alkaloids are at the inside part of the skin. The white core doesnt have any alkaloids. Collected at 2,500 m.o.s.l by farmers, abuelos and gentiles from the Andes of peru. This is an alkaloid rich cacti containing a similar alkaloid composition to Peyote. It is a powerful entheogen used by the shamans and medicine men in Peru for spiritual quests. They use this cacti in Peru much the way North American Natives use Peyote. Traditionally prepared either powdered and eaten or brewed similar to Ayahuasca boiling and concentrating it. Our cacti is ethically harvested in Peru and prepared the way it has been for hundreds of years. It is first de-spined then the skin and flesh are separated from the rest and allowed to dry. Grinding the dried pieces of skin and boiling it in half a liter of water for 8 hours can also make a tea. Filter and drink slowly. It will be better though to make an extract by boiling the powder in 250 ml of water with the juice of 2 lemons for half an hour. Pass all of it through a handkerchief. Save the liquid and boil the San Pedro in 250 ml of water with the juice of 1 lemon for half an hour. Pass the liquid through a handkerchief again and repeat the last step. The juice is drunk in the course of half an hour. San Pedro can best be experienced in nature or in a quiet environment. Make sure you take care of the ambiance: candlelight instead of electric light, incense, etc. 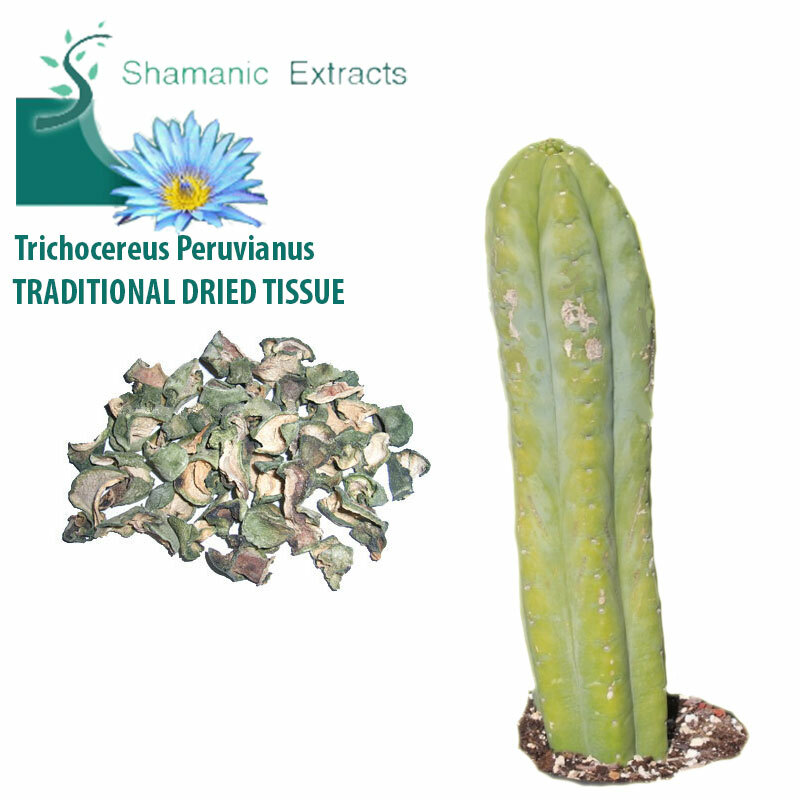 Share your experience about Trichocereus Peruvianus TRADITIONAL DRIED TISSUE with other customers. Submit your tips or thought on this product, be detailed and specific.